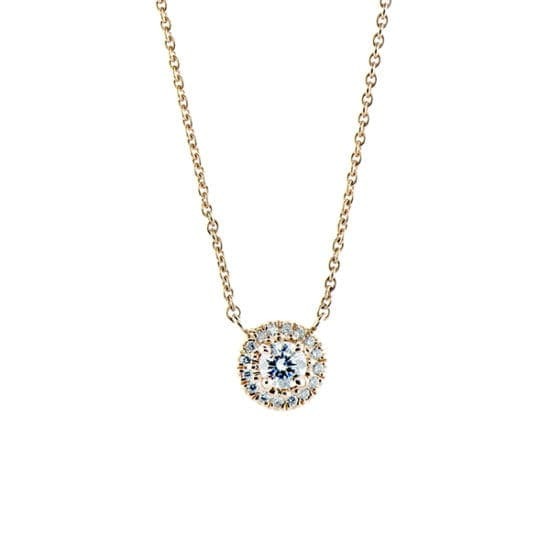 The Marisa Perry micro pave diamond pendant features a 0.19 carat round brilliant cut diamond set in an expertly crafted 14k rose gold and diamond micro pave setting. 16 inch chain. Please allow 3-5 weeks for shipping as this necklace is available for custom order and will ship upon completion. Email [email protected] or call 212-566-8977 for custom orders, larger sizes and price inquiries.